This Student Book uses the Pearson Checkpoint learning approach, which has been designed to help students to develop the skills required for the exams. The Checkpoint Teaching and Learning approach will help students to remember the key learning points from each topic, and to use their learning to apply, analyse and evaluate in new contexts. This support will help to develop the full range of skills that will be assessed in the exam. 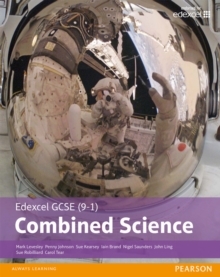 Other key features of the Student Book include: a Preparing for the Exam section at the end of every Topic, to help students understand how six mark questions will be assessedworked examples for Physics Equations to support students in the recall and application Physics equations Core Practical pages that give students the opportunity to practice answering practical-based exam questionsQuestions that are all rated on a scale of 1 to 12 using the Pearson Steps system, encouraging students to answer increasingly difficult questions as they progress through the course.